Map showing location of the Kalimba-1 well, offshore Angola. Eni has made a new offshore oil discovery in Angola block 15/06 with the Kalimba-1 new field wildcat, which encountered 23m net oil pay in an Upper Miocene sandstone target. Eni believes the field could contain some 230–300 MMbo light oil in place (33° API) and estimates production capacity could be more than 5,000 bopd. 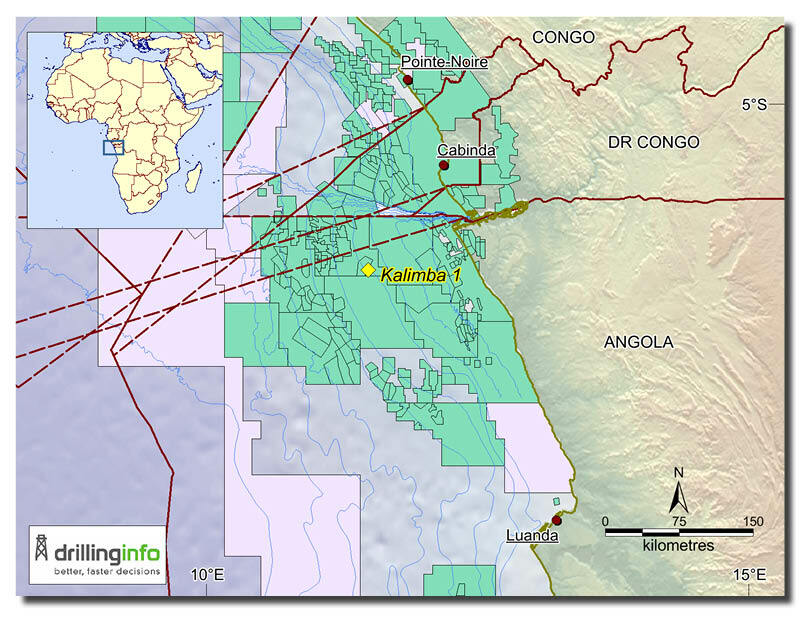 Kalimba-1 was drilled in 458m of water by the Seadrill West Gemini drillship and reached a TD of 1,901m in mid June, 2018, having spudded a month earlier. Eni Angola acquired the operatorship of 15/06 in 2006 and made the first discovery on the block in 2008 (Sangos-1) followed by Cinguvu-1 in 2009 and Mpungi-1 in 2010, as a result of which the West Hub FPSO Project was developed to exploit these discoveries. Equity in the block is split between Eni (36.84%), Sonangol Sinopec (26.32%) and Sonangol (36.84%).